Langkawi, Malaysia, 2015-7-7 — /Travel PR News/ — From a population of 22 million in Mumbai to 100,000 on Langkawi, Andrew Harrison transits from “Incredible India” as General Manager of Four Seasons Hotel Mumbai to “Naturally Langkawi” as General Manager of the UNESCO Geopark’s luxuriant Four Seasons Resort Langkawi. As a boy, Harrison would watch Whicker’s World on TV, intrigued by the glitz of five-star hotels, cruise liners, limousines, air travel and exotic destinations. Having worked alongside his mother from an early age in her outside catering business, his first “proper job” was in his hometown of Harrogate, UK, where he started his career working in the restaurants, bars and banquets of The Old Swan Hotel. From then on he was hooked and has since become a citizen of the world having worked in 10 countries and travelled to more than 60. 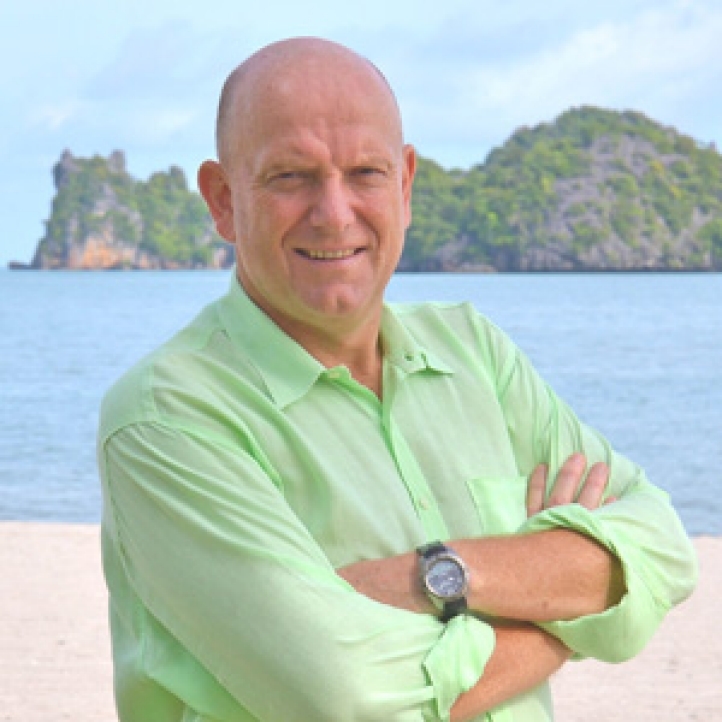 He has spent the last 20 years as a Four Seasons nomad in paradisiacal islands and vibrant cities starting with Four Seasons in Bali, Kuala Lumpur, Florida and California, then becoming General Manager in Chiang Mai and opening the Tented Camp in the Golden Triangle, followed by further openings in Mauritius and Mumbai. With a passion for languages, Harrison is fluent in English, French and German. Over the years he has found a love for Russian and Indonesian, and his return to Peninsular Malaysia means he’s already working on perfecting his Bahasa Melayu. His latest move has also re-opened the doors to two of his main sporting hobbies: golf and cycling. Having opened Four Seasons Golf Club Mauritius at Anahita (complete with a spectacular Ernie Els-designed course), he’s in familiar territory with Langkawi’s award-winning Els Club, just 25 minutes from the Resort. And while traffic-choked Mumbai made cycling a harrowing experience, he is already enjoying switching gears through the glistening padi fields and traditional kampongs (villages), and is eagerly anticipating the archipelago’s annual Le Tour de Langkawi, Malaysia’s equivalent of Le Tour de France. This entry was posted in Hospitality, Hotels, Luxury, Travel Management, Travel Services, Travelers and tagged Andrew Harrison, Four Seasons Resort Langkawi, UNESCO Geopark. Bookmark the permalink.